When thinking about the future of mobile applications, I am convinced the need is moving more and more toward applications that offer real world service to their users. 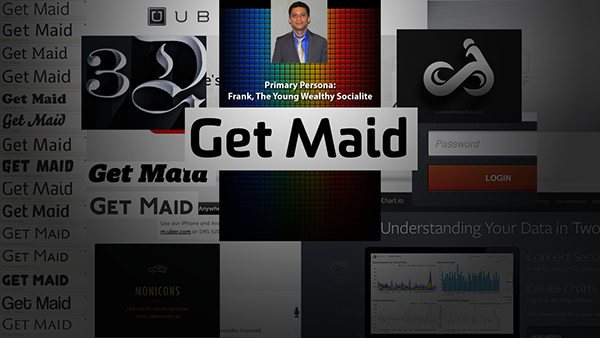 I was happy to be apart of the development of one such service: Get Maid. The first step in the process of defining Get Maid was to validate the idea that there was a need for a premium, immediate maid service. I interviewed five potential users of varying demographics in both urban and suburban homes and all 5 confirmed that they would be interested in using a website or application to book a maid, if some conditions and assurances were given. The interviews also led to many feature and business recommendations for the app. The interviewees all indicated a need to feel safe and assured that any stranger entering their homes wouldn’t steal anything and also wanted to feel confident that they would receive a superb cleaning. Basically, they wanted a trustworthy, efficient service and they would not mind paying handsomely for it. My role was to design the complete product's branding through the user’s experience with the application.The first step was to flesh out a clickable prototype of that exact service. I used InDesign and the EightShapes Unify system to speed up the digital clickable prototype creation phase. Then I designed and hand coded a mobile ready responsive HTML site. Above is the first comp I made. We wanted something quick so I bypassed type research, color investigation and any lengthy exploration of typefaces. Not surprisingly, this design FLOPPED. Once again a thinking process of wins over just making pixels. Understanding the problem fully, and thinking through the expectations of our persona had to be done. For our minimum viable product we focused on one primary proto persona. A young and wealthy man in an urban area. We researched many services that attracted such a persona and developed a mood board based on that. With the new mood board and some key feedback from stakeholders and potential users, I put together this working design for an alpha site. We all had expectations that the logo might need some evolving, but we were happy moving forward with this style in place. 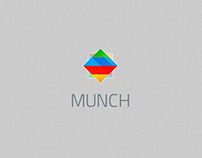 Reasonably satisfied with this temporary design we began my first attempt at an iPhone icon design as shown above. The concept of the above icons was to make the icon into a bar of soap. Something didn’t feel right in this approach, so after two days of exploring this execution we shifted to a more icon based typographic approach. We felt strongly about a one letter solution to the iPhoneapp icon and we were torn between using the letter G or M. A co-founder suggestedusing the “M” for Maid and I eventually agreed. 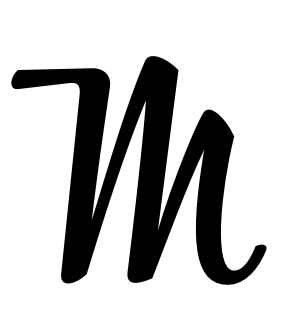 One typeface in particularstruck me as expressive enough to stand apart as an icon mark: Bistro Script,shown below. 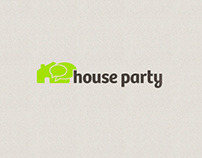 This hand script typeface above has a classic, comforting and dependable feel. It reminded me of the Walt Disney signature which I felt was right where we wanted to be as a brand. 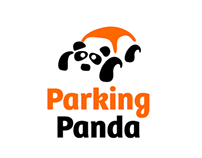 The service had a magical and easy aspect to it that I wanted the logo to convey. 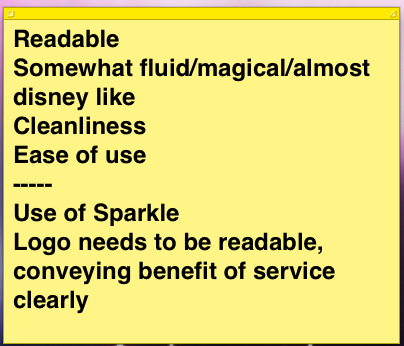 Below is the sticky I used to remind myself of what we wanted to represent as a brand. 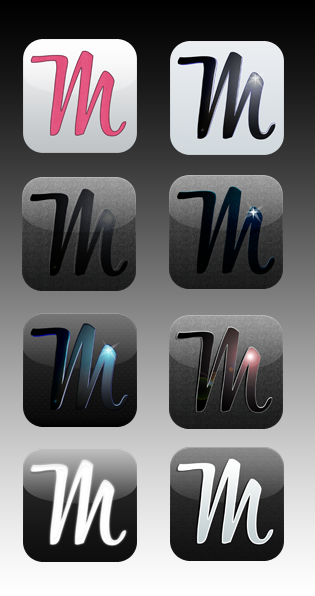 Below I explore variations of the “M” icon showing my designs to the team as an evolving process on a hourly basis. As a group we talked. Discussing the letter form and itstreatment, we critiqued the typeface thoroughly. 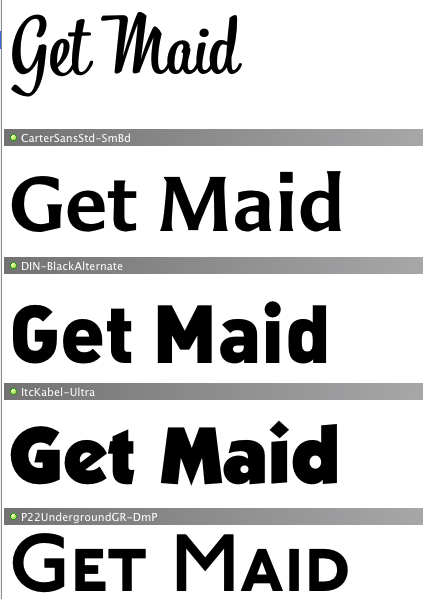 That feedback resulted in mecutting into the lower case “G” in the word “get” as well as re-shaping the “M”in Maid. The above logo was near perfect, exactly what I needed tomove forward with the iPhone icon. ..the shine exists as a substitute for the dot on top of the “I”. Logo achieved! 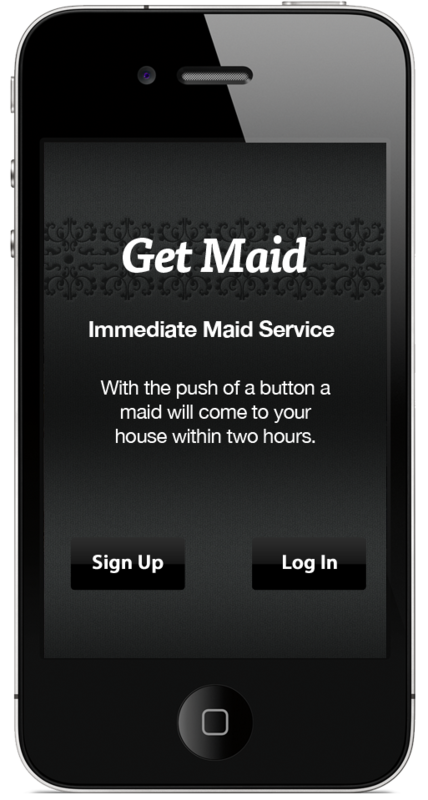 The application design for Get Maid is extremely simple andeasy to read for this Beta launch. Avoiding many graphical “bells and whistles’I wanted the application to simply exist as a utility. 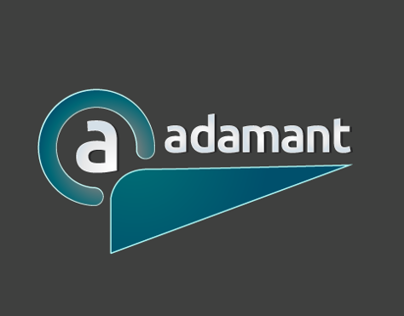 We wanted to have adesign that could be iterated upon quickly. 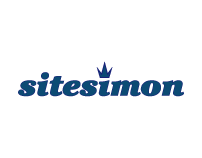 Once the application was designed we needed to think about amore robust homepage. For our Alpha release we used a simple Launchrock page,but now we wanted to design a page which more fully represented us and wouldentice users to download from the Apple Store as well as the Android store. So I started with sketches in marker on 18x24 newsprint. I designed the below layout in about a half day to begin toget a feel for the page’s needs. 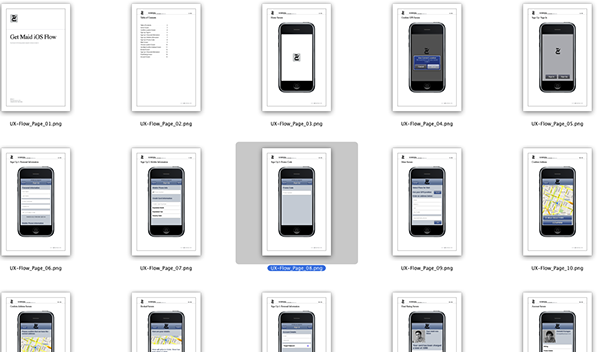 The co-founders had the great idea of using a white iPhoneto make the black / dark grey theme of our application standout. This was a“watershed moment” of the pages’s design. After launching we knew we needed a fully functional desktop site and then the addition of core features that would attract users of varying demographics. As soon as these features were added our next need was for a solid SEO strategy to compete in New York City. Below is the the design template for how I envisioned customized landing pages presenting themselves to a user searching for that particular service. In this case if a potential customer searched for an "eco-friendy cleaning service" they would be presented with this design. 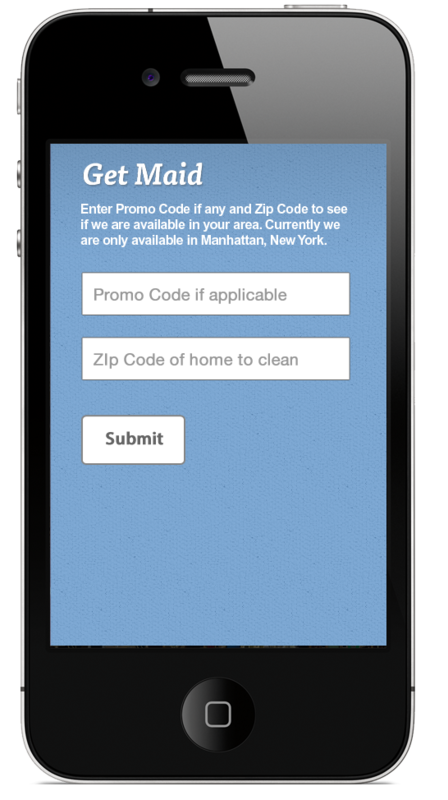 I designed the user experience, logo and interaction for the new premium on demand maid service in New York City.